Job hunting is not simple. There are many moving parts. You're pitching yourself; figuring out where to search for prospective employers; and then relentlessly networking, writing cover letters, sending resumes, interviewing and negotiating. Since most of us go through big job hunts only a few times in our lives, we often don't have enough experience to know what works well and what doesn't. You can turbocharge your learning process and speed up your job hunt by using a four-step after-action review. There may be many moving parts, but during your hunt, you're repeating the same tasks. You find prospect companies. You find ways to contact people within those companies. You get introduced, possibly by cold calling or sending a networking letter, and so on. By becoming very good at those tasks, you'll be able to hunt faster and with less effort. After taking an action, stop and examine how well that action worked. Say you attend a networking event. What didn't work at the event will show you where you need to improve. You met 10 people but got no business cards, so you know you need to find more ways to deepen relationships. But if you met one person and easily exchanged contact information, your challenge is meeting more people. If you met many people and got lots of cards, but no one wanted to schedule a follow-up call, you need to learn to become more enticing. Examine what didn't work and brainstorm alternatives. 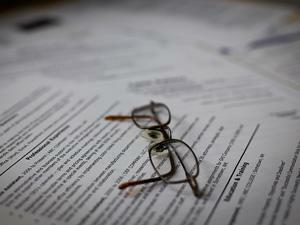 One woman sent out a dozen resumes with cover letters. No one wrote back. She had used a stock cover letter, changing only her greeting when writing to a new company. Her after-action review led her to try writing customized cover letters that showed she had researched each company and described how she might help the company. The new letters began to work. Sometimes your wins are one-time events. One woman's interviewer wrote her, saying it wanted a stronger candidate. The woman sent back a can of spinach, humorously implying that she'd eat right and get strong. She landed the job. Creative? Yes! Great party conversation? Yes! Something to make a regular part of the job hunt? Not likely. Other times, you'll find that something you did works over and over. If you kept all your notes for a prospect company on one sheet and it helped you stay organized, that would work for all your company notes. Going forward, you could make a conscious effort to keep all notes about a company in one place. In this case, your excellent note-taking becomes a new tool to make the rest of your job hunt go better. Before you cast your learning in stone, run it by friends for their opinions. They may help you improve the idea or add a little sanity-check. "In my after-action review, I decided that my paisley leisure suit with fluorescent polka dots made a memorable impression," you proudly proclaim. Your best friend might point out that memorable doesn't always mean "good," and that your good impression may have been in spite of your glorious fashion choice. Finally, write down what you learned. Keep a notebook of checklists of what to do and what not to do in your job hunt. Checklists are easy to use with each new prospect company or interview, and you don't have to remember it all each time. With a deliberate daily after-action review, you can identify the actions that are and aren't working, and improve your job search immediately by capturing those lessons that can be applied over and over during your search. By accelerating your learning, you'll quickly move your hunt into high gear and make it faster and easier to find your next job.